K6426 - Turning 50? 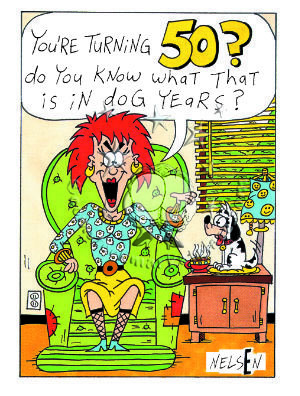 Do your know what that is in dog years? Inside: ...dead! Happy Birthday anyway!